Four-year-old Cameron Kmetz has autism, but you wouldn’t know it. Two years of therapy with the Early Childhood Autism Program at the University of Nevada, Reno (UNR), called behavioral analysis, has transformed him. When Cameron was diagnosed with autism, he couldn’t speak. He wouldn’t engage with other children and he withdrew into himself. But now he plays with other kids his age, speaks in full sentences, and laughs… a lot. 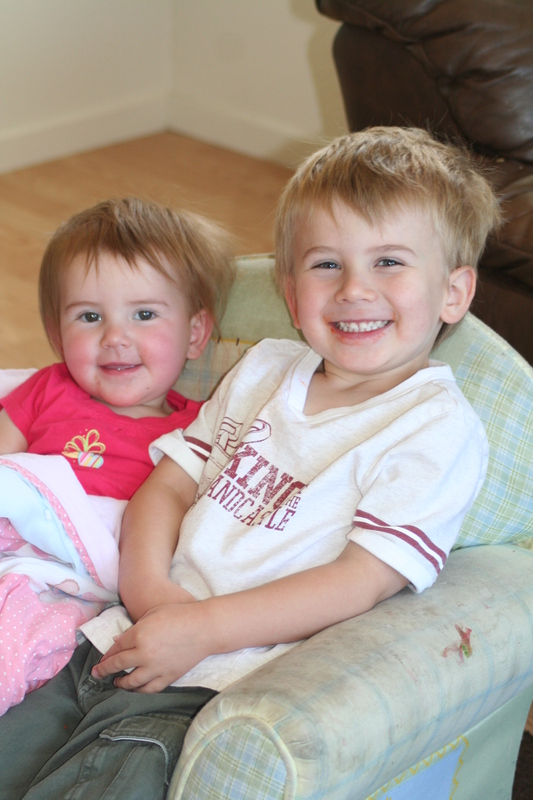 Cameron Kmetz with his little sister Kay. Cameron’s parents, Marcia and Rick Kmetz, credit his progress to the intensive therapy received at UNR. Cameron logs nearly 30 hours each week with five therapists. The treatment is expensive. Explains Marcia, “I knew in my heart that this was the right program, that this was going to be the answer for my child, and then he (therapist) said it costs $2,000 a month. We both broke down in tears because we couldn’t afford it. We couldn’t think about affording it and we knew we had the answer in front of us, but we couldn’t have access to it. ” If you ask any of the other families who have children with autism, they will tell you the burden is a heavy one. The Kmetzs were one of the lucky families to receive help from The Sierra Kids Foundation. There are still so many children and families who need assistance. Please help us provide the necessary resources to help kids like Tyler pull through the darkness of autism.